Shoulder joint replacement is less common than knee or hip replacement, but it is just as successful in relieving joint pain. Shoulder replacement surgery has been performed for over 50 years but is done increasingly for various shoulder conditions. 32406 have been performed between 2000 and 2015, in Australia. The number increased by 7.3% in 2015 over the previous year. Over the years, shoulder joint replacement has come to be used for many other painful conditions of the shoulder, such as different forms of arthritis, trauma and rotator cuff damage. If nonsurgical treatments like medications and activity changes are no longer helpful for relieving pain, Joint replacement surgery can be a safe and effective procedure to relieve pain and help you resume everyday activities. Is beneficial for patients with large rotator cuff tears who have developed a complex type of shoulder arthritis called “cuff tear arthropathy.” For these patients, conventional total shoulder replacement may result in pain and limited motion, and reverse total shoulder replacement, which places a socket over a ball rather than ball in the socket[see images] may be an option. The Australian National Joint Replacement Registry has collected data for 7 years. The percentage that have failed after this time are 5.4% of total shoulder replacements and 4.7% of reverse shoulder replacements. 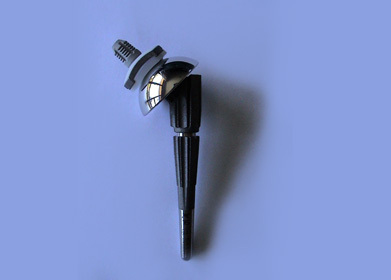 Prosthesis Problems – The prosthesis may wear and the components may loosen. 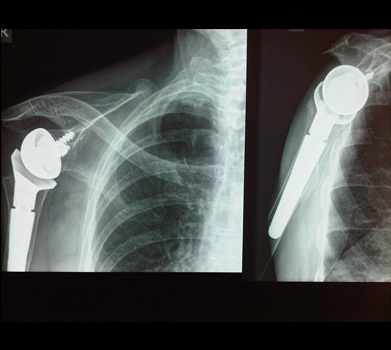 The components of a shoulder replacement may also dislocate. Nerve Injury – Nerves in the vicinity of the joint replacement may be damaged during surgery, although this type of injury is infrequent. Over time, these nerve injuries often improve and may completely recover.